The Bell and Gong is a digital system that broadcasts bell and gong sounds through waterproof devices located throughout the vessel. Primary benefit: the system is fully programmable with both manual and automatic functions. 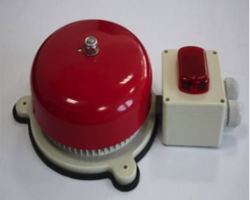 Explosion-proof bells are available for use in Group II areas, as well as Zones 1 and 2 explosive atmospheres.